I laughed, I cried, I swooned (a lot), and I totally ignored my students the morning after I started reading Emmy & Oliver because I couldn’t wait to finish reading. The storyline was intriguing, but I think what I loved most about Emmy & Oliver was the incredible quality of the characters. 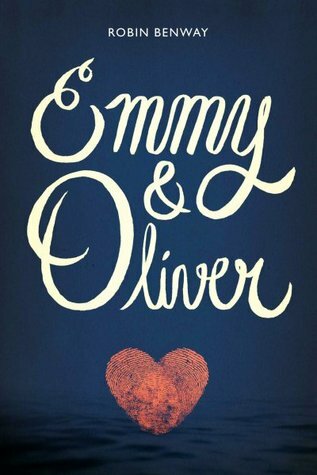 Emmy and Oliver were great, in fact I’d go so far as to say that I think Emmy’s one of the best protagonists I’ve ever read, and their cast of supporting characters was awesome. Emmy & Oliver would make a great choice for any summer reading situation, whether it be a day at the beach or a day spent curled up in bed. Go check it out Emmy & Oliver . And, on a side note, Robin Fenway’s other titles are different in style and genre but are also fun reads, if you find that you like this title and want more from the same author! The Six by Mark Alpert – new book trailer release! Check out this trailer, then scroll down for an excerpt and a chance to win a copy of The Six! With all the hype leading up to the release of Serafina and the Black Cloak, it’s pretty clear that Disney’s looking to discover and be a part of the next big book franchise. I think they may just have found it. 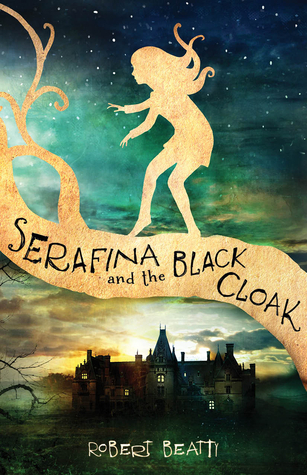 Well-written and intriguing, Serafina and the Black Cloak feels like something wonderfully familiar and new all at once. In the vein of Harry Potter and Percy Jackson, Beatty has written the beginning of a great hero journey series for middle schoolers, but with one major difference… The hero is a girl. And, not just any girl, but a truly unique one for reasons that I won’t tell because it’ll spoil parts of the book for you. Throughout the book, Serafina goes through the process of questioning who she is and what her purpose is, and she comes out on the other side of it as an admirable and strong young woman. Set during the time of the Vanderbilt family and the Biltmore House in the mountains of North Carolina, historical and factual details are woven into the narrative seamlessly, which creates a fascinating delve into historical fiction for middle grades readers. The supporting cast of characters are remarkable, too; they include the Vanderbilt family, a wide variety of people who have come to stay as guests in their home, and the large staff that kept a place like the Biltmore House running. There’s a battle between good and evil here, and good wins out just as we’d expect in an MG title, but it’s done in a fresh way and comes across as something different. The book never really fully delves into witchcraft (portrayed as evil) or paranormal stuff, but there are touches of it that make the story mysterious and a little spooky. When the evil force driving the antagonist is finally defeated, it’s with something clearly good, which makes me comfortable with recommending this for school reading for grades 4 and up. Serafina and the Black Cloak comes out on July 14th, and it should be everywhere when it comes out… But, click here to see it on Amazon (where it’s already listed as a #1 New Release) if you’d like to preorder it, or check with your favorite local bookseller to order it. So, I would imagine that I’m not the only one who didn’t know anything about K-Pop before reading this, but after some googling (oh my goodness, fandom insanity) I got a pretty good feel for the K-Pop culture. 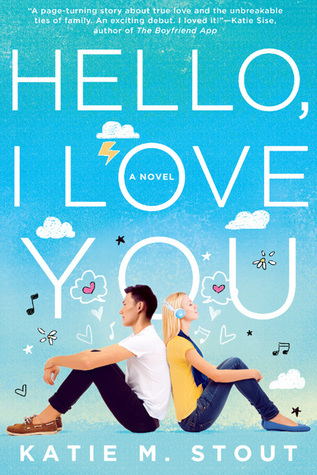 It made for a fun setting for Hello, I Love You because it’s not just set in Korea but also sort of within this subculture that I found fascinating. As a character, Grace is flawed and very human, and as a result of recent tragedies doesn’t start out this book as a very likable person. By the end, though, Grace’s transformation is realistic and hopeful. I loved Jason and Grace together and rooted for them the whole way through. In a word, I thought is was wonderful. Check it out here on Amazon or get it from your favorite book store! What should you binge-watch this summer? I’m a serious fan of TV with smart writing, and the best-written show I’ve seen in a very long time is Jane the Virgin. Now, had I judged the series by its title, I never would have watch it. But oh my goodness I’m so glad I saw the original trailer that got me hooked on it. Every episode makes me laugh out loud, but the protagonist (Jane, who is in fact a virgin even though she’s pregnant) is a seriously strong young woman with an admirable set of morals and dreams she’s not afraid to go after. Find some episodes on The CW’s website, or watch the series from the beginning on Monday nights on The CW, or just give in and stream the entire first season on Amazon for less than twenty bucks. It’s really good stuff. It’s the middle of the last week of school, and I’m finally sitting on my couch at 9:30 at night – the first time I’ve had all day to just sit and be still. And, what I can’t get off my mind is how I’m actually kind of sad that the school year is already over. Don’t get me wrong… I love summer vacation. Like, I REALLY love it. Because my husband and I are both teachers, we have a whole lot of fun family time during the summer, which I would trade for the world. My own kids will only be kids once, and I maximize every moment of available time with them. So, yay summer and all that. However, this time of year is also very difficult for me. I spend a ridiculous number of hours each week with a group of 80+ teenagers starting in August. So, by the time we arrive here in the first week of June, we all know each other pretty well. Really well. I’ve spent the school year finding every possible thing there is to love about them (that’s the key to teacher sanity and effectiveness, by the way) and then, suddenly, they’ll just be gone. We’ve laughed together, learned together, and had adventures together. I’ve listened to them when things were going badly, held them accountable when needed, and they’ve given me grace on my bad days (and in the mornings in general because I’m a horrible morning person). When they’re suddenly gone, moving on in their school careers as they absolutely should do, it’s like losing a whole bunch of friends all at once. It’s a bittersweet time – one in which you remember the good times more than the bad, because who wants to focus on the bad anyway? You encourage them to go on and succeed and do big things, but also try to let them know that you don’t really want them to go away. I’m grateful for social media (they’re telling me to get snapchat… I’m too old for that, right?) and texting and all the ways I get to keep up with my students, but it’s just not the same. Because I’m a product of the 90’s and my love of Better Than Ezra was (and still is) fierce, these happy but sad feelings always send “This Time of Year” running through my mind. I think the lyrics are perfect for the end of the school year for a teacher, and also for 8th graders as they get ready to graduate. There’s so much to look forward to and enjoy, but also so much to look back on and miss. So, this one goes out to all my students, past and present. I miss you guys for real! Though it fades too soon.So go on, let it be. Well, I know there’s a reason to change. Well, I know there’s a time for us. And the girl you’d steal. If there’s a feeling that there’s something else. Seems like it’s always understood this time of year.